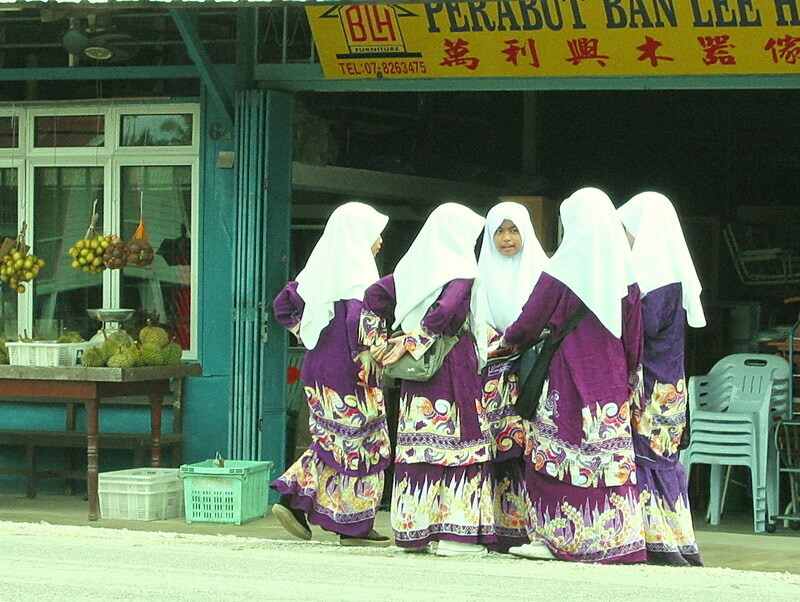 Tudung refers to the headscarves that are worn by Muslim women in Malaysia. The small town of Rengit is a short 45 minutes ferry ride away from Singapore, in the eastern end of Johor, Malaysia’s southern state and is a favourite haunt for cyclists looking for a weekend getaway. and a little bit conservative. I have NOT been in awhile but I read there is a > warning < now for cyclist to dress properly.